Ruslan Gvashev’s defenders and relatives have treated the decision of the Krasnodar Territorial Court on his case as unjustified and absurd. Gvashev himself said that he was gaining strength for the further struggle for his rights, but he would not plan go on a hunger strike. The "Caucasian Knot" has reported that today the above Court has upheld the fine imposed on Gvashev for his prayer at the Tulip Tree. Today, policemen detained the delegation of Circassians from Kabardino-Balkaria and Shamsudin Neguch, an activist from Adygea, on their way to Krasnodar. The Territorial Court "has actually banned the traditional prayers of Adygs-Shapsugs at their sacred Tulip Tree," Marina Dubrovina, a Gvashev’s advocate, believes. Khazret Bizhoev, another Gvashev’s advocate, said that the Court’s decision would be challenged at higher courts and the European Court of Human Rights (ECtHR). 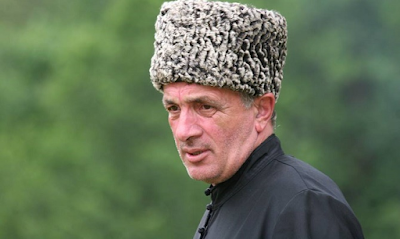 Shalva Ankvab, a member of the Abkhaz delegation, called Gvashev "a hero of Abkhazia." According to his story, despite detentions, about 200 people came to the courthouse. Aslan Gvashev, one of Ruslan’s relatives said that the prosecution of the elder of Adygs-Shapsugs "has seriously damaged Ruslan Gvashev’s health"; however, according to his version, "nobody can forbid Circassians to pray." 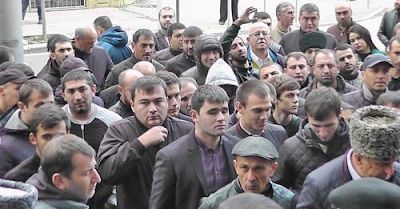 Abkhazian group of Gvashev’s supporters detained in Adygea for four hours, In Krasnodar, Court upholds fine to Ruslan Gvashev, Power agents prevent Ruslan Gvashev appearance at rally in Krasnodar.